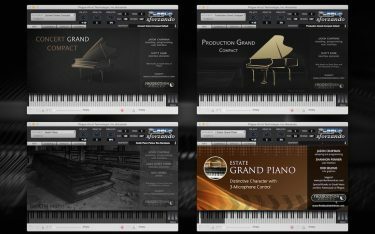 Production Voices' SFZ Piano Bundle contains four premium Piano Sample Libraries for the free Plogue Sforzando player. No Kontakt required. Together these represent a $396 value! As a bundle they are over 50% off. Production Voices’ SFZ Piano Bundle contains well over 30 GB of samples. 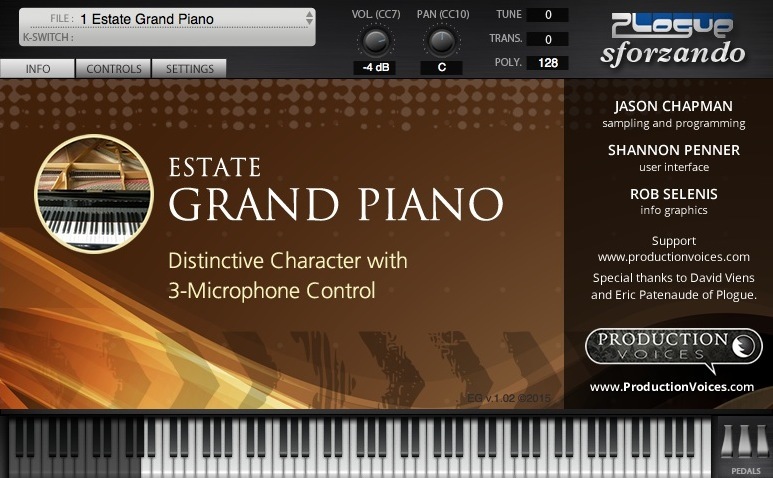 The bundle includes sampled Steinway D, Yamaha C7 and Kawai GS-60 pianos. Digital download delivery: Immediately after purchase, download links are provided. The files can be expanded using any ZIP utility. Mac users can simply double click the downloaded file. 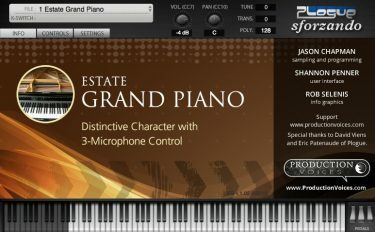 SFZ Piano Bundle Video from Jason Chapman on Vimeo. Requires 64 bit version of Plogue sforzando available HERE for free. 10 GB of free hard drive space. 8 GB RAM. Fast 7200 RPM hard drive or a solid state drive. Solid State Drive or 7200rpm Hard Drive recommended for best performance. *Note about file size: SFZ Piano Bundle samples are provided in FLAC format. 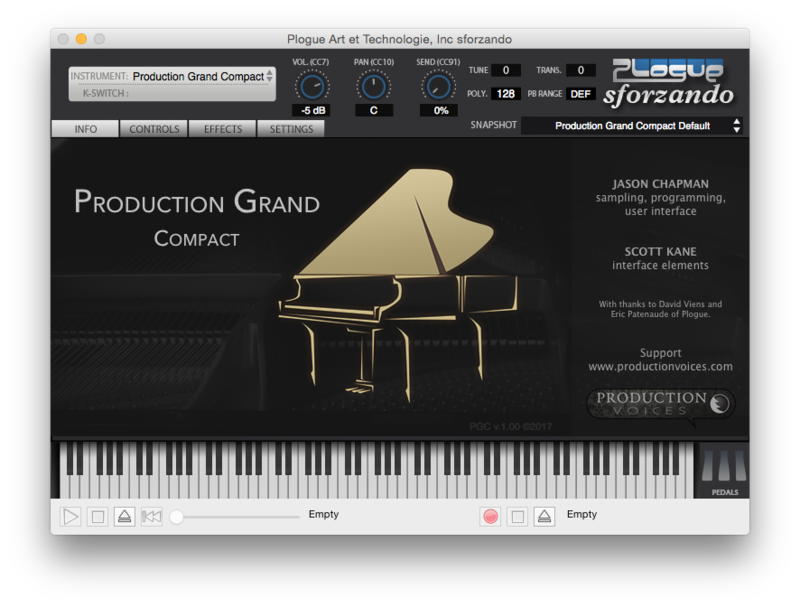 FLAC is a loss-less file format meaning that it will sound exactly like the uncompressed WAV source files from the sampling session but takes up less than half the disk space with no audio quality degradation. 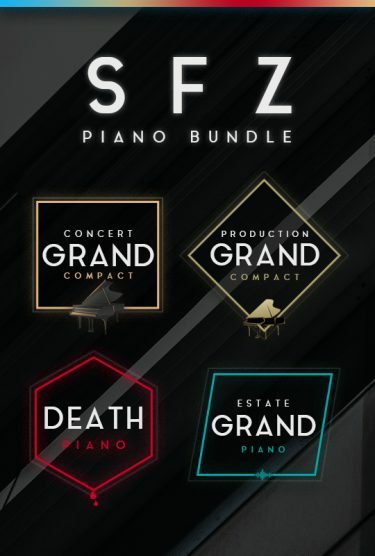 SFZ Piano Bundle source sample size before compression is over 30 GB! The digital delivery size is just about 9 GB with no loss in quality. 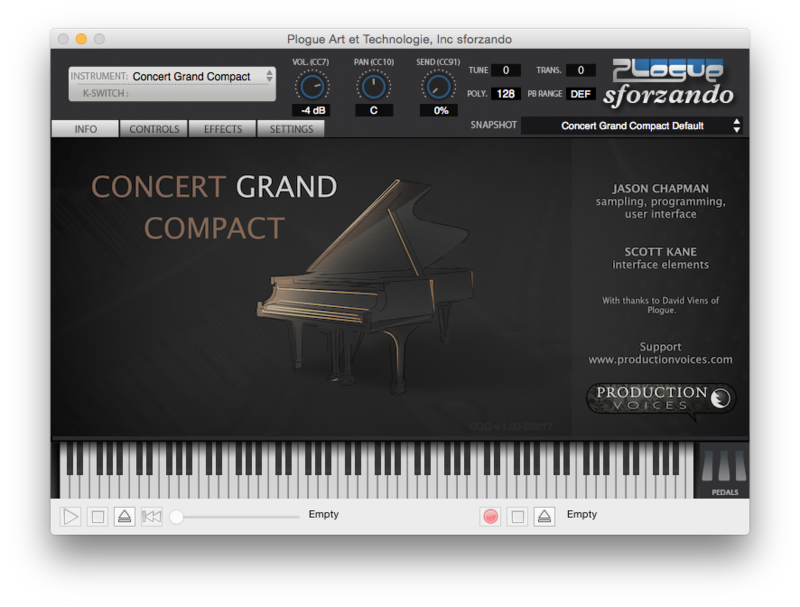 Disclamer: Steinway, Yamaha, Kawai, Plogue and sforzando are all trademarks of their respective owners. In no way is Production Voices associated with these companies or brands. 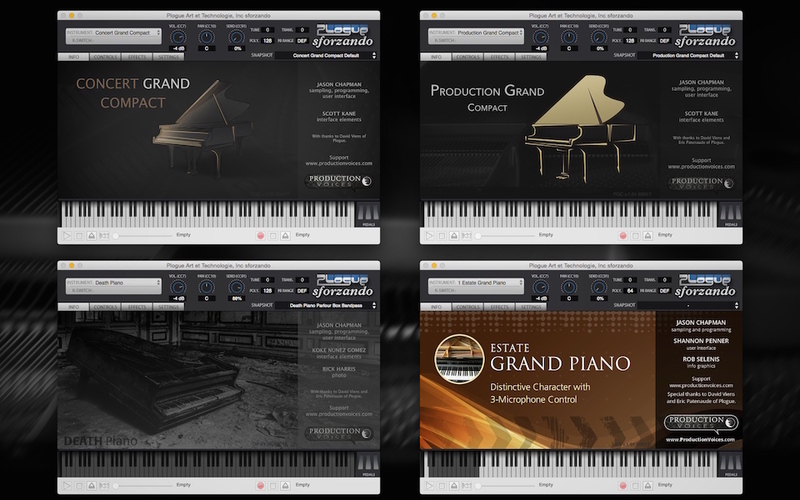 Their mention is only to indicate the instruments and software used to make the virtual piano instruments.